The debate on global warming between deniers and believers has been going on for years now, regularly re-ignited by reports coming out of the United Nations’ Intergovernmental Panel on Climate Change (IPPC) or more recently the National Climate Assessment put together by 300 American experts. When global warming suddenly comes home to America and is no longer some vague threat that concerns distant lands like the Maldives or Bangladesh, a paradigm change occurs. Extraordinary events like Hurricane Sandy and insidious and protracted phenomena, like the sea slowly seeping in the foundations of Miami Beach or fires in California, are things-that-happen-now, not in some distant hazy future. 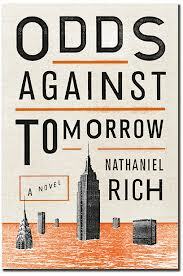 A novel like Nathaniel Rich’s Odds Against Tomorrow with a book cover that features New York under water (arrow added), no longer looks like science fiction. It’s climate fiction, a new genre that is quickly going viral, mainly because it is organically linked to climate change. It’s no coincidence that the term cli-fi was coined by a climate activist, Dan Bloom, back in 2008. Climate activists view climate fiction, or “cli-fi” for short, as a “hot” new genre designed to wake up the public to the dangers of global warming. Short of actually saving the planet, the hope is that emotional cli-fi narratives will move people to action far more effectively than a string of scientific data projections. And, as recently reported by the New York Times, climate fiction is already put to use in some American universities to sensitize college students about environmental issues and how to handle them. The term really took off in the US when one major American scientist, Judith Curry, Chair of the School of Earth and Atmospheric Sciences at the Georgia Institute of Technology, wrote about it on her much-followed blog in 2012 (see here) NPR immediately interviewed her and the media gates were opened. All major papers jumped in, from the New York Times to the Huffington Post, the Christian Science Monitor, and the New Yorker in the US, and on the other side of the pond, the UK Guardian and the Financial Times. 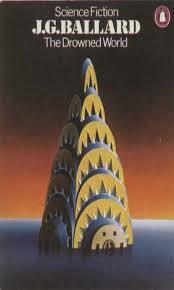 All touted climate fiction as a new genre and gave their own version of what it is. So what is climate fiction? Some see it as a sub-genre of science fiction or dystopian fiction providing, in the words of Bill Chameides, “essentially dystopian visions of a world decimated by climate change” (Huffington Post here). In short, a not-so-new form of apocalyptic literature. There is a certain logic to that, cli-fi shares with “hard” sci-fi a tendency to use known science, both technical details and trends, as a starting point for its narratives. Others see cli-fi as a self-standing genre. Unlike science fiction, climate fiction focuses “on an immediate and intense threat rather than discovery” (UK Guardian here), and it can even be “literary” – the implication that science fiction is not (Christian Science Monitor, see here). While much of sci-fi is pure entertainment and escapism, there is a “classic” form of science fiction, starting with H.G.Wells and going on with Orwell, Aldous Huxley and Asimov that must be considered literary. 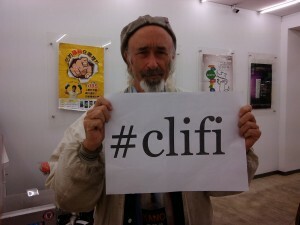 Author Dan Bloom has been at the forefront of actively promoting “cli-fi” as its own literary genre. Speculative, literary, open-ended, not always apocalyptic… It could deal with any kind of climate change, warming or cooling, in the distant future or not -so-distant, even happening now like in Barbara Kingsolver’s novel, Flight Behavior, featuring an invasion of millions of monarch butterflies in the Appalachian Mountains, brought on by climate change. The human consequences of cli-fi are what set it apart from traditional speculative fiction. Or it could have a broader scope and involve eco-disaster and global collapse. In fact, fiction genres that bear those names are used by authors who upload their books on Amazon and a quick search (done in May 2014) turns up a surprising number of titles in some of them, starting with eco-disaster fiction (7 titles), collapse fiction (366), climate change fiction (653, of which many are non-fiction), and climate fiction: (741). These numbers are of course merely indicative of the genre’s importance, since the lists are not categories set up by Amazon. Of all those genre names, climate fiction comes out the winner in terms of sheer numbers – no doubt because it is short and catchy. More to the point, the success of this new genre is clearly linked to the fact that it is widely talked about in the media and that recent climate fiction books are often best sellers. Big name authors have published cli-fi novels, not just Barbara Kingsolver but also Margaret Atwood (MaddAddam), Michael Crichton (State of Fear) and Ian McEwan (Solar). And one should not forget that new upcoming authors are finding success too, notably Daniel Kramb with From Here, Nathaniel Rich with Odds Against Tomorrow and Paolo Bacigalupi with The Windup Girl (so much so that Knopf has acquired his next novel, see here). Climate fiction has even achieved the status of being a subject of academic research. At the University of Copenhagen in a recent PhD thesis, Gregers Andersen explored global warming in fiction and philosophy, analyzing 40 different novels, short stories, and films produced between 1977 and 2014, all using global warming as a theme. He has deconstructed how climate fiction “works” on the public: it tends “to exaggerate the consequences of global warming, and the climate changes often happen extremely quickly.” Cli-fi narratives depict “characters who can remember how the world was before the climate changes set in… However, it is still a recognizable world.” This is the point: it needs to be recognizable so that you, as a reader, feel “uncomfortable with the fact that our home planet has become a strange and alien place.” (in Science Daily, see here). This human, “recognizable” aspect of climate fiction sets it apart. This is what makes it different from mainstream science fiction that is often so far away from our present world that we feel we are swimming in Star Trek-like high fantasy. Now Hollywood, in the upcoming TV series, Years of Living Dangerously, has decided to exploit this human aspect. Dan Abbasi, the executive producer, has come up with the idea of “putting a human face” on climate change, featuring major actors like Tom Harrison, Matt Damon, Olivia Munn and Arnold Schwarzenegger. With so many people involved, what is the future of climate fiction? Undoubtedly positive, and with the passage of time, as global warming takes hold, it is likely to come ever more to the fore. So far, it has yet to produce the Next Great Novel on the scale of Orwell’s 1984 or Aldous Huxley’s Brave New World though this will no doubt happen. It is also possible that climate fiction as a genre will broaden to include more than climate change; with time, one can expect it to address all the other worrying trends linked to global warming: the population explosion, industrialization, urbanization etc. Any serious speculative fiction would need to take into account all those trends…but then, what would one call it? Probably climate fiction is the best term, easy-to-remember, and it signals novels that explore the most likely future awaiting us. And that – the sense of reality, that some have called “social realism” – is what makes it so different from science fiction. A former United Nations project director, Claude Nougat is the author of four novels and two collections of short stories. You can read more at her blog or by following her on Twitter @claudenougat. She lives in Rome, Italy.